Make a deeper impact in higher education. Blend academic theory with hands-on experience and gain the range of nuanced skills needed for great leadership. The MA in Higher Education Leadership program combines classroom learning with research, organizational theory, graduate assistantships, a relevant international experience and an internship. It will set you up to make an impact throughout your career. Over the course of 36 credit hours, you'll expand the way you collect and process information, examine how you interact in a group setting, build your sense of self-awareness, enhance your communication skills and develop your critical thinking. You'll then explore ways to apply everything you've learned specifically to a higher-education setting. You'll be prepared to find meaningful work at two- and four-year colleges and universities, in departments ranging from academic advising to admissions, financial aid, student activities, residential life and Greek life. The effects of your skilled leadership will play out far beyond your direct student interactions, resonating through a better and stronger community. As a SOLES student, Jesse served as the Graduate Student Association president and represented her colleagues on the presidential search committee. She also studied community models of leadership in Sri Lanka and served as an advisor for an immersion trip to Ghana. She is now coordinator for Student Activities at Sixth College at University of California-San Diego. Jesse credits much of her success to her colleagues and faculty mentors at SOLES. Some go on to PhD programs. Others find work in the Student Affairs world. Still others go on to education administration. 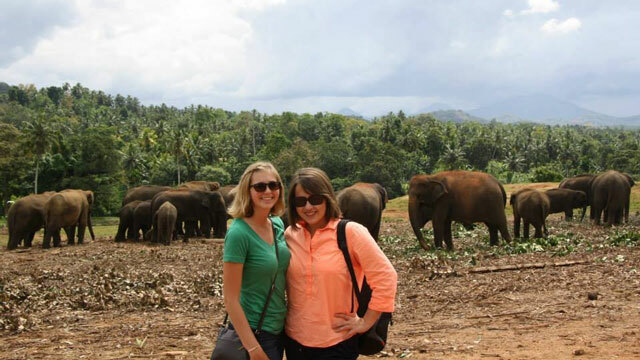 Wherever you're driven to make an impact, SOLES alums are highly desirable in the job market. Have a look at where our graduates have landed. Graduate Assistantships let you get paid work experience while you're in your MA in Higher Education program. Choose between on-campus and off-campus assistantship opportunities and expand upon your classroom learning with work that's both meaningful and engaging.